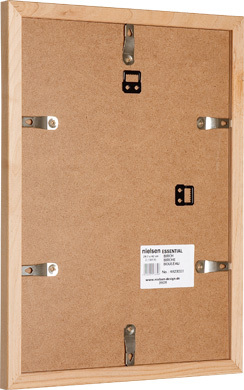 This painted light wood frame is supplied with fixings (6 metal securing clips & 2 hangers) that give you the freedom to hang either horizontally or vertically. Just remove the mdf back and attach your pictures to the mount. 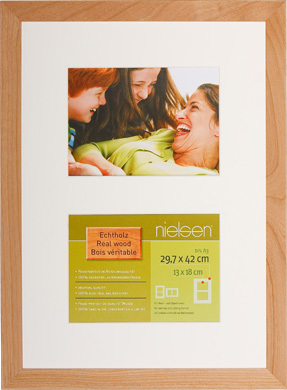 This light wood frame and mount have been designed to fit 2 photos sized 5x7" (13x18cm), great for displaying multiple pictures of your loved ones and favourite memories. . 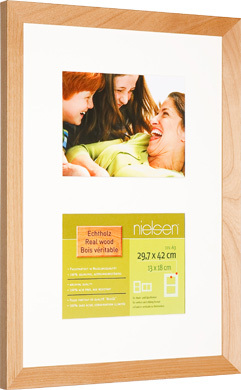 The frame itself is suitable for an image size 42x29.7cm, without the mount. 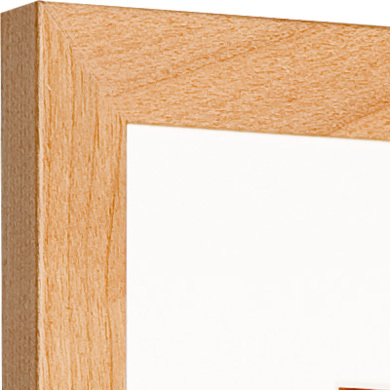 The stylish wood moulding has a 25mm face width and is 7mm deep.